Robbie Dembo is a third-year PhD student interested in the health, social, and economic outcomes for families with children with disabilities. Robbie has several years of experience working on state and federal health policy issues. 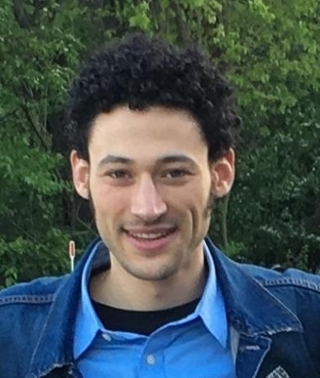 He is currently a research assistant at the Lurie Institute for Disability Policy and a senior research analyst for NORC at the University of Chicago where he focuses on health outcomes of vulnerable populations. Robbie also works with a team at the University of Michigan on a range of research projects related to Arab-Jewish coexistence. He has received grants from the Social Security Administration and the Boston Area Research Initiative and has published and presented research in his field, including "The Psychological Consequences of Violence Against People with Disabilities." Maia Hyary is a fourth-year PhD candidate interested in the health and diet outcomes for food-insecure families. Ms. Hyary’s dissertation examines whether the stress of managing household food insecurity contributes to obesity among women with children. Her research also focuses on the role of stress in the intergenerational transmission of food insecurity. Prior to joining the Heller PhD program, Maia worked at the Rudd Center for Food Policy and Obesity where she researched the marketing of unhealthy foods to children and co-authored articles published in Childhood Obesity, Health Equity, and JAMA Internal Medicine. Maia completed her Master’s of Public Administration in Health Policy Analysis from New York University’s Robert F. Wagner Graduate School of Public Service. Cady Landa is a PhD candidate studying immigrant integration. Her dissertation examines the ability of public schools to meet the special needs of children of recent immigrants and work with their parents in this process. Also examined is the experience of parenting as a newcomer to the U.S. She is a Research and Policy Associate at the Institute of Community Inclusion, University of Massachusetts Boston, with interest in immigrant families' access to services. Megan Pamela Ruth Madison is a PhD candidate concentrating in child, youth, and family policy. She received an MS in early childhood education from Dominican University and a BA in studies in religion from the University of Michigan. Her research interests include education policy, the teaching workforce, and racial equity. Her mixed-method dissertation employs Critical Race Theory to explore the impact of "colorblind" policymaking on the racial/ethnic diversity and stratification of the early care and education teaching workforce. 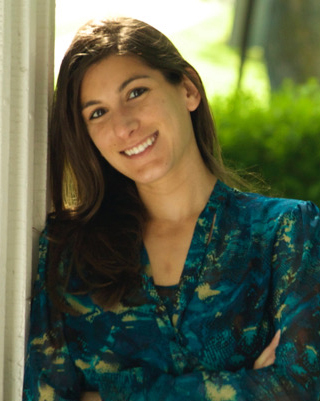 Rebecca Nuernberger is a doctoral candidate in the Children, Youth and Families concentration at The Heller School for Social Policy and Management. A family nurse practitioner with over 10 years of experience in community health in the Boston area, she is interested in how immigration status impacts health and well-being for families. Her dissertation will more specifically address the role of community health centers in meeting the needs of low legal status individuals and the mental health burden of low legal status. In addition to her dissertation work Rebecca teaches advanced practice nursing and is involved with research on interdisciplinary collaboration in health care. Robyn Powell, JD, received her JD from Suffolk Law School and her BS in Social Work from Bridgewater State University. Her research interests include disability law and policy, particularly the needs, experiences and rights of parents with disabilities and their children. In addition to studying at the Heller School, Robyn is a disability law and policy consultant. Charlotte Powley is pursuing her PhD in Social Policy with a concentration in Children, Youth, and Family Policy. Charlotte’s current research at Brandeis combines her intersecting interests of public health and adolescent education with a specific focus on health policies that impact adolescent females. Her research is centered in the menstrual hygiene management (MHM) field, specifically on recent U.S. state policies that mandate the provision of feminine hygiene products to students. She focuses on gender equality, bodily integrity and autonomy, overall student belonging, and students’ sense of school membership and identity. Charlotte is a mentor for the Posse Foundation as well as an Adjunct Professor at Brandeis University, teaching a Sociology Research Methods class. She also works for the Waltham Partnership for Youth where she assists high school students to obtain local internships and explore their career and personal development. Prior to Brandeis, Charlotte earned her BA from Barnard College, Columbia University, majoring in Women, Gender, and Sexuality Studies. After Barnard, she joined the New York City Teaching Fellows and taught at a Title I high school and was also licensed as a Special Education teacher. She taught Algebra to a wide range of students with varying learning disabilities and emotional disturbances. While teaching, she completed a Master’s in Education at Hunter College in New York City. Charlotte left teaching to pursue a Master’s in Public Health with a major in Biostatistics and Epidemiology from Tufts University. Dakota Roundtree-Swain is a first-year Ph.D. student in Social Policy, with a concentration in Children, Youth, and Families, studying foster care policy. She utilizes mixed-methods and interdisciplinary approaches. Her previous work is in child welfare law and practice, and best-interest representation; her published work focuses on youth decision making and agency in the child welfare court system. Her research interests include child welfare, poverty, intersectionality, structural oppression and racism, sociological theory, and the invention of childhood. Roberto S. Salva is the current Sol Chick and Rosalind B. Chaikin Endowed Fellow in child and family policy. He holds an MPA from the National University of Singapore and a BS in Statistics from the University of the Philippines. Before coming to Heller, he led the EU-funded baseline study on child participation in the ASEAN and the ASEAN Member States; drafted guidelines on child participation for the deliberation of the ASEAN Commission on the Promotion and Protection of Women and Children; peer reviewed the Philippine study on violence against children, and consulted for various nonprofit organizations including The Asia Foundation, Save the Children and Consuelo Zobel Alger Foundation. Before that, he led a nonprofit organization for the deaf in the Philippines for six years and worked with urban poor communities through research and community organizing. Qian Zhang is currently a third-year PhD candidate. Qian’s research interests include program evaluation and quality improvement in social policy. Qian has worked on projects regarding old age support in long-term care hospitals and by public programs, physical and mental health outcomes of the aging population, and employment training of internal migrant workers. Qian holds an MA in sociology from Master of Arts Program in Social Sciences, University of Chicago, and a BA in history and sociology from Peking University, China.